��SCNU is located in Guangzhou, China. Guangzhou is in the center of the Pearl Delta which is one of the three most booming economic areas in China, with Hong Kong and Macao in its vicinity. The GDP of Guangzhou in 2003 is the highest among the sub-provincial cities in China. In fact �� Guangzhou has been the center of business, finance, communication, culture, science and technology in the south of China. ��Guangzhou is the host of Chinese Export Commodities Fair (also known as the Canton Fair), which has been ongoing for about a half century and is held twice a year in late April and late October. 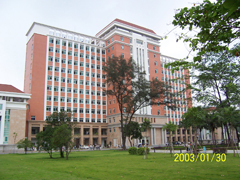 �� SCNU was built in August of 1933.It is one of the key Universities of ��Project 211�� and a comprehensively scientific teaching research university which has a long history. 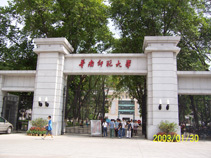 SCNU is one of the main universities of Chinese teaching, has a long foreign teaching history and is experienced in teaching and administration. As one of the first colleges and universities of teaching international students announced officially and publicly by the Education Commission of China, SCNU now has international students from 50 different countries, which covers 5 continents. In the past 17 years, there have been hundreds of foreign students come from many countries like Japan �� Korea �� Thailand �� Indonesia �� Vietnam �� America �� France �� German. etc. Also, SCNU enjoys an international reputation and cooperation. ��SCNU now opens all its colleges to international students. CIC,SCNU has a high-class staff of Chinese teachers that take the responsibility for Chinese teaching. 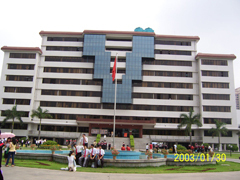 SCNU has a 6 story teaching building which was completed in 2002. It is the most modern teaching building in Guangdong, which in total covers 8000 square meters, has 43 classrooms. A 13 story international students dormitory was completed in 2005, which has nearly 800 single rooms which are fully furnished and equipped with private bathrooms, including internet connection to better serve the international students.